Buying a new car these days can be quite shocking. So much technology is available! So, how to choose that new gadget for that new car? There are many options to choose from. Such as the rear parking camera to auto-parallel parking to automatic distance control, there is so much new stuff out there! But there are some new car gadgets that are not very common. Surely a Car TV is not new, but a Car refrigerator? A long road trip is always a pleasure, especially these days when getting out of the office is so difficult to do. But whenever a long road trip takes place, restlessness kicks in especially when traveling with children. So this is where these new car gadgets can come in handy. Sure popping in a DVD in the Car TV and letting the kids enjoy their favorite show is all very common by now. But what about enjoying a cool beverage while driving to that special destination with the entire family or alone? With a Car Refrigerator you can save gas and also time on that next road trip. Plus these new car gadgets are also top of the line as well. 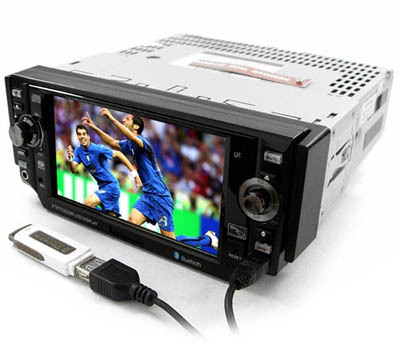 A Car TV is usually an LCD display and some new car models even have 5.1 surround systems as well. New Car Refrigerator technology also include cooling, heating and even a built in FM radio. These models are very portable and can be used in cars, offices, even dorm rooms.